Minister Mutodi says Zimbabweans reeling from fuel hikes must use ‘Bulawayo specials’ commonly known as bicycles. Commenting on his twitter handle on Sunday following threats of protests by the youth wing of the opposition MDC party, the Zimbabwe Congress of Trade Unions and activists Tajamuka, Mutodi said the “clever” buy fuel savers or use bicycles. 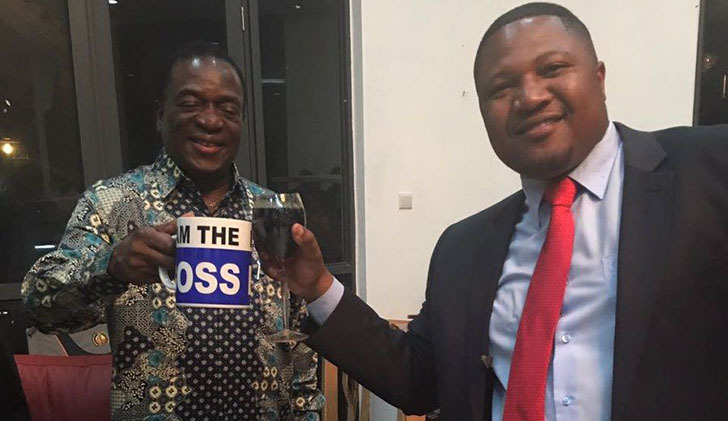 “Faced with high fuel costs, clever people know what to do and here are some tips,” Mutodi said. The protests were triggered by President Emmerson Mnangagwa’s decision to hike fuel prices on Saturday night by over 150% in the wake of acute shortages of the commodity that has forced motorists to queue for days. Mnangagwa is currently out of the country on a five nation visit in Asia and Europe and the country was yesterday on fire with citizens engaging in some protests against the fuel hikes and deteriorating cost of life. Finance minister Mthuli Ncube has described importing of cars from Japan as a luxury. NATIVES ON THE WARPATH: BULAWAYO , YESTERDAY BURNT Choppies Mountainview and reduced contents to ashes after protestors on Monday broke in and looted the place before setting it on fire.